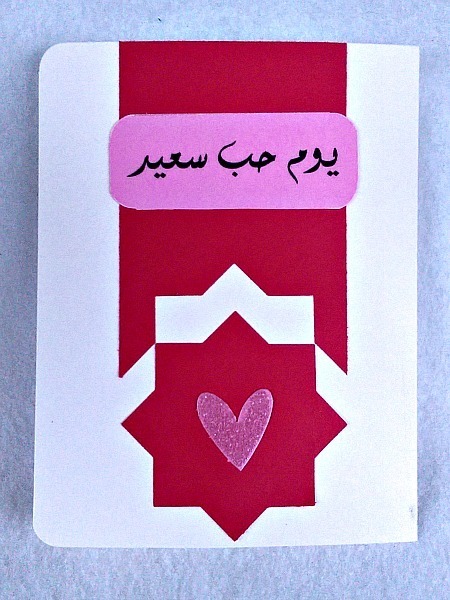 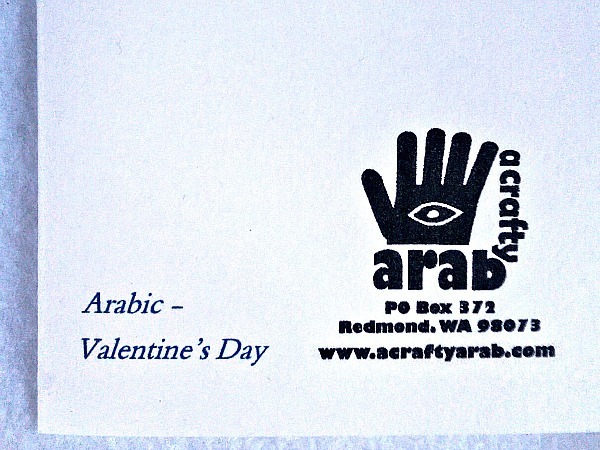 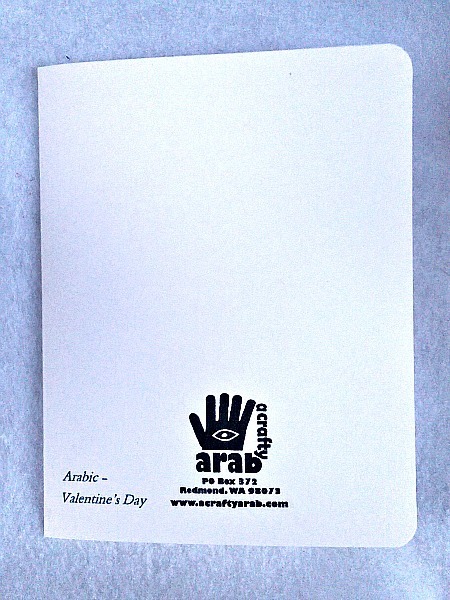 Send this stunning Arabic Happy Valentine's Day card to your loved one. 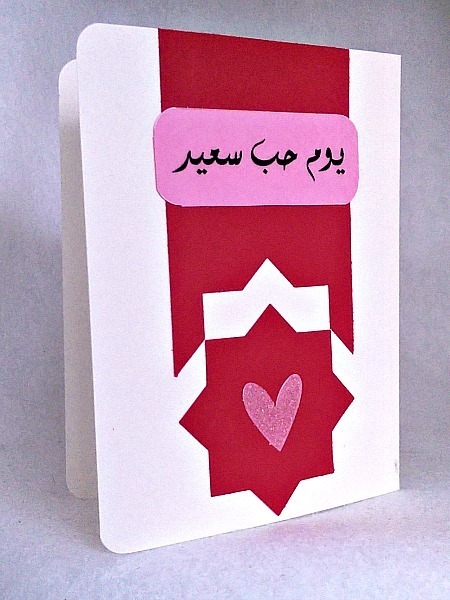 It features a khatam, 8 point star, punched out of red cardstock and a beaded heart sticker added to it. 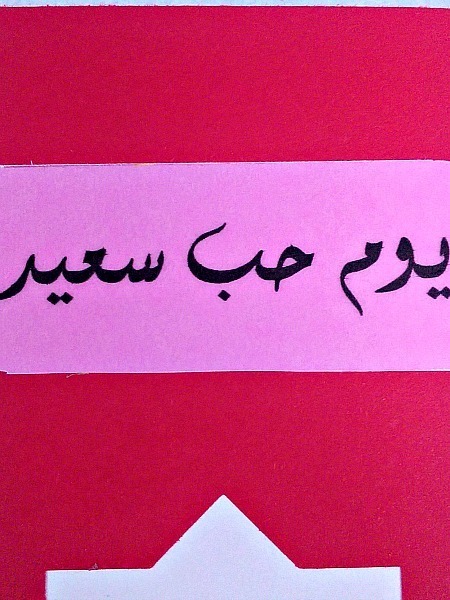 The words Youm Hobb Said has been placed on vellum and added to pink cardstock. 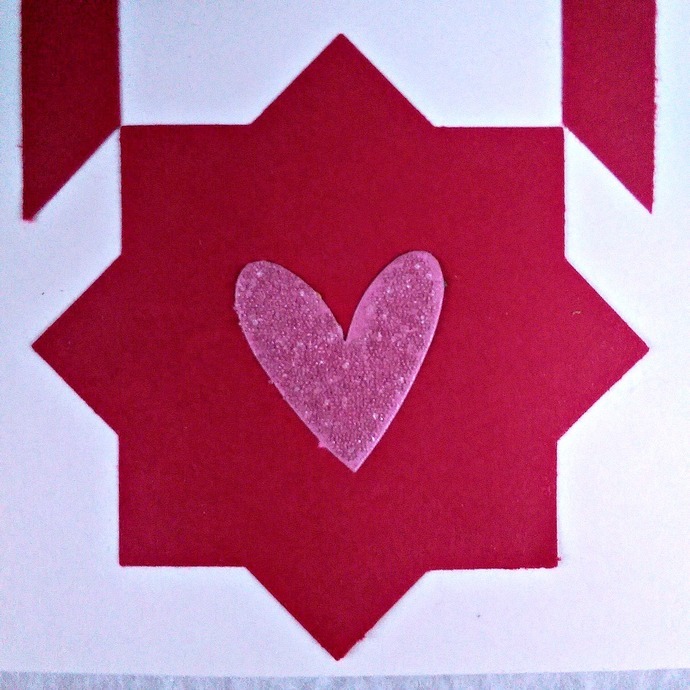 The corners were rounded to compliment the rounded corners of the card.